"I stay here on average once a week. 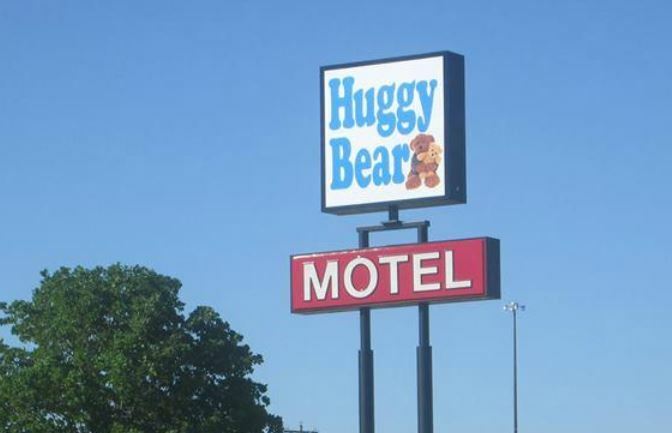 I do a lot of traveling from state to state, and in all honesty the Huggy Bear is my absolute favorite place to stay. It is extremely clean, reasonably prices, and above all the staff are hands down, THE BEST. It is just a small town place, where you get the red carpet treatment. My company actually pays for the big chain hotels for us, but I always pass on them when I'm in this area. This place beats a big chain hotel/motel any day of the week. My company appreciates the bargain rate and I simply appreciate the homelike atmosphere."